This software is Copyright © 2016 Jason Drake. All Rights Reserved. Licensed with the Apache License Version 2.0. 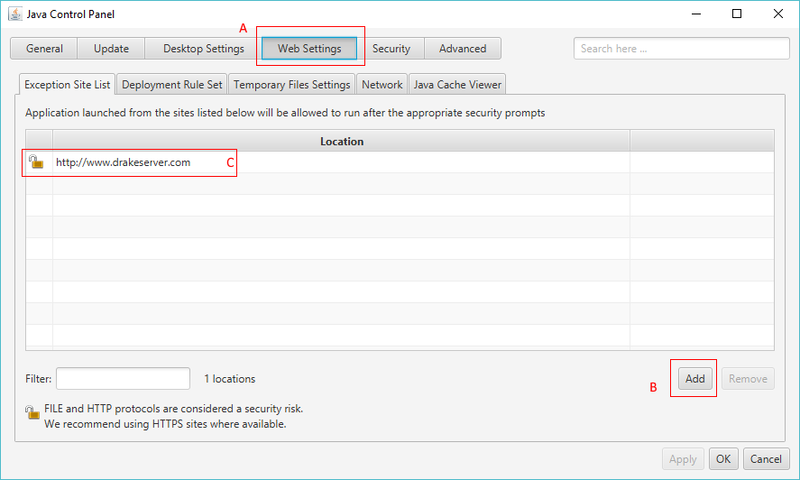 To check the version of Java you have visit http://java.com/en/download/installed.jsp. Apple Computer supplies their own version of Java. Run the Software Update feature (found under the Apple menu) to check that you have the most up-to-date version of Java for your Mac." If Java appears in the "New software is available for your computer" window, you need to install it. 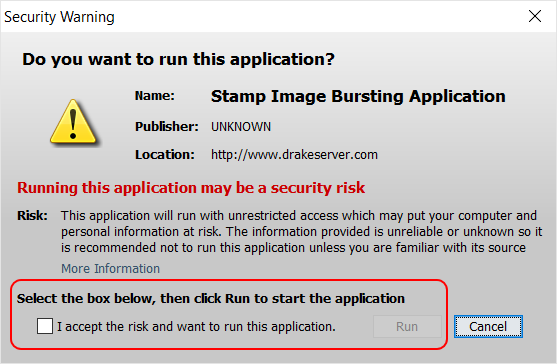 The Stamp Image Bursting Application is a Java Web Start based application. In order to execute it, simply click the Download Now button below to download application. It should start the execute automatically if Java is properly installed on your system. There will be two prompts, one to accept and install the application from Jason Drake, and the other will be a security warning that the "application's digiatal signature cannot be verified." You will be prompted to accept and run the digital certificate each time the application is run since I do not own a verified certificate. Each time the application is started you will be prompted to determine a configuration mode. The default configuration will be find by folder. If you choose to use the Import from File, a sample file has been prepared and is available here. Simply save this file in a common location on your system and edit the file to add the appropriate output directories you desire. This is caused by Java thinking it needs to connect over a proxy instead of directly over the network. There are several articles written on how to resolve this. Close any running instances of the application. Select Java (this may be under the Programs option). From a terminal type ControlPanel (it is case-sensitive). Select View... from the General tab. Select the application Stamp Image Bursting Application and choose the "X" to remove the application. The Stamp Album Page Generator is an application used for importing an XML input file and parsing the file to generate a PDF output file. Custom page layouts (margins and page sizes) can be defined in the application using the menu option "New Configuration" to copy an existing configuration. This can be updated from the "Settings..." value from the Options menu. For standard sizes (such as from album printers) contact the author Jason Drake and provide the album page size and margin dimensions. An update will be made to the system to include additional layouts over time. The XML input files should use the DTD definition outlined here: http://www.drakeserver.com/dtds/pagegen.dtd. "width height" "rate" "description" "secondary description (optional)" "number"
There is some ongoing discussion whether to retain this inner text format or switch to using XML attributes which would allow validation of the <s/> elements. See the wiki for the most up to date information. Go to the Options->Settings and choose the Font tab. Double click on the particular usage row in the table and choose a system font family, specify a size and style. Note: Not all styles will work with the particular font families. If your fonts are located outside of the system font directory, you can map the font file to a specific name and use this in the Font tab. Go to the Options->Settings and specify the Font Mapping and create/edit a font mapping. Choose the font file (either TTF or OTF files are supported) and specify an alias for the font name. Note: Any new aliases defined, will require that you close the Settings dialog and reopen it for specifying the fonts on the Font tab. On the Font tab, you can edit a font and select the "user-defined font" alias and choose the font alias name you specified. The Stamp Album Page Generator is a Java Web Start based application. In order to execute it, simply click the Download Now button below to download application. It should start the execute automatically if Java is properly installed on your system. There will be two (or three) prompts, one to accept and install the application from Jason Drake, and the other will be a security warning that the "application's digiatal signature cannot be verified." You will be prompted to accept and run the digital certificate each time the application is run since I do no own a verified certificate. If you are having issues within the application itself (the application launches but something does not work as expected) the Debug and Support wiki might be helpful. Select the application Stamp Album Page Generator and choose the "X" to remove the application. 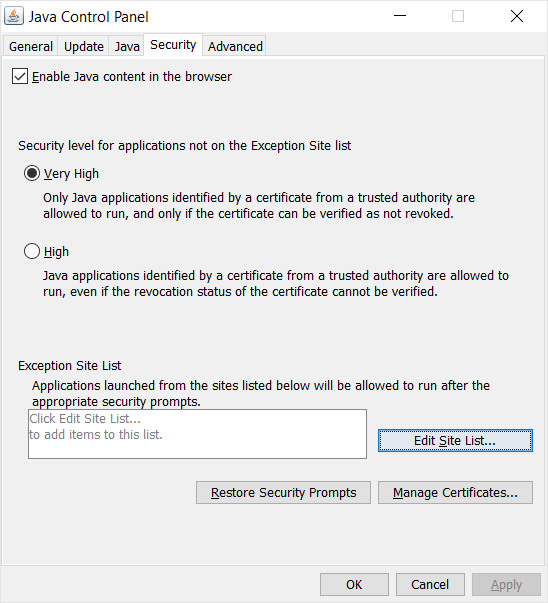 Due to changes made by Java and their support for the Java Web Start application, you must sign your applications with a class-2 certificate to deploy them easily. This involves sharing personal information with online certificate providers to obtain a certificate (including Social Security numbers, Drivers Licenses etc.) As well there is an annual fee/cost incurred by this process. Since I provide these tools or use without expectations in return, it is no longer possible for me to continue obtaining class-2 certifcates. As such, I am still overing the tools as a self-signed application. 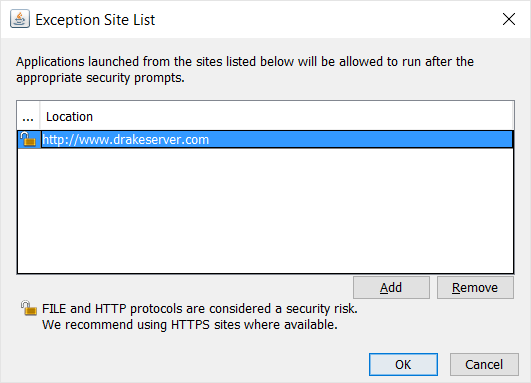 The biggest impact is in order to execute the applications you will need to add the hostname "http://www.drakeserver.com" to the exception white-list in your Java configuration. If you are using an IT-managed system this may not be possible depending on how much control you have over the machine. If that is not possible to adjust I am sorry to say that the application as it stands is not runnable. I will provide a .zip file of the application at some point that you can use to run the application directly. Since I am no longer using a signing certificate in order to run the software you have to state that a site is an exclusion. 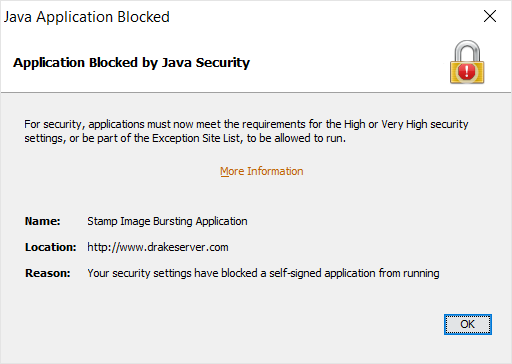 In order to do so you need to add the drakeserver.com site as an allowed site to execute software from. Find your Java Control Panel. In Windows 10 this is under the "Java Applications" under "All Apps" and in a similiar location on previous versions of Windows. Notice the section at the bottom titled "Exception Site List". Click the button to the right "Edit Site List"
Click the highlighted checkbox and click "Run". Unfortunately you will need to check this box each time to launch the tools. I have spent many hours developing this application. While the Stamp Image Bursting Application is freely available for your use (subject to the Apache License Version 2.0), if you wish to contribute a monetary amount to help development of this software, support this server providing the application or provide a thank you gift, I would be happy to accept contributions via Paypal. Since I am not part of a tax-exempt organization, I will need to track and file any income with the US Tax authorities. Paypal rules dictate that I need to send an invoice for goods/services. If you are interested, please contact me at jadrake75@gmail.com from the email you wish to receive the invoice from along with the amount you are interested in contributing and I will provide an invoice. Alternatively, since I collect stamps of the British Commonwealth (1840-1953) in mint condition and would love and appreciate any such contributions.